This time last week I was chilling my friend and her family. 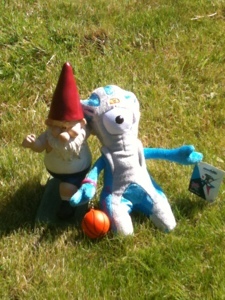 I even gave her son my Mandeville mascot and he wanted to bounce the little basketball on it’s wrist. Now I am chilling between my games on day 4 of competition. 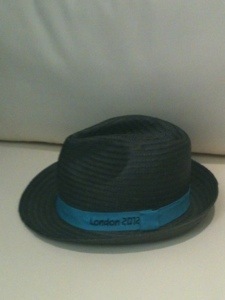 I have had an amazing time so far even down to wearing my trilby hat. I have met so many officials from many different sports, shooting, swimming and tennis, amongst them. Everyone has been so friendly both in the village and park saying hello, this has included security & armed police. I’ve been asked by people why is my uniform blue. I have proudly told them that I am table official for the Wheelchair Basketball. Most people say “Wow that game is fast.” & I always take a moment contemplate and answer I suppose it is. I have been very lucky to meet some of my friends on the park and happy for them to share my experience of the Paralympics. I’ve also had some lovely text messages from friends and colleagues wishing me luck or I’ve seen you on TV. Before I go off to officiate another game I will have a stroll around the village and capture some more memories on film. On the first day of competition I officiated two games at the Basketball Arena. My first game was between Columbia & Poland. I was nervous but not like I have been at previous international tournaments. It felt strange and I can’t put my finger on exactly on what that feeling was. On my second day I only had one game operating the shot clocks at the North Greenwich Arena. This game was between South Africa and Spain and I really enjoyed the game, experience and was happy with my performance. I am very self critical of my performances and ability but this game just had me bouncing off the walls, happy would be an understatement. For the first time in a long time or maybe ever I came away and could confidently say I was satisfied with my officiating. I would like to thank my co-officials, stats, the commissioner, the ITO’s and the teams for this amazing feeling. I regularly get a song stuck in my head and this time the song was I got a feeling by The Black Eyed Peas. Today my first game will complete me officiating in all roles on the table and that brings me a whole different set of nerves but I will just go with the Paralympic flow. Wow! I keep pinching myself, I am actually at the London 2012 Paralympic games. 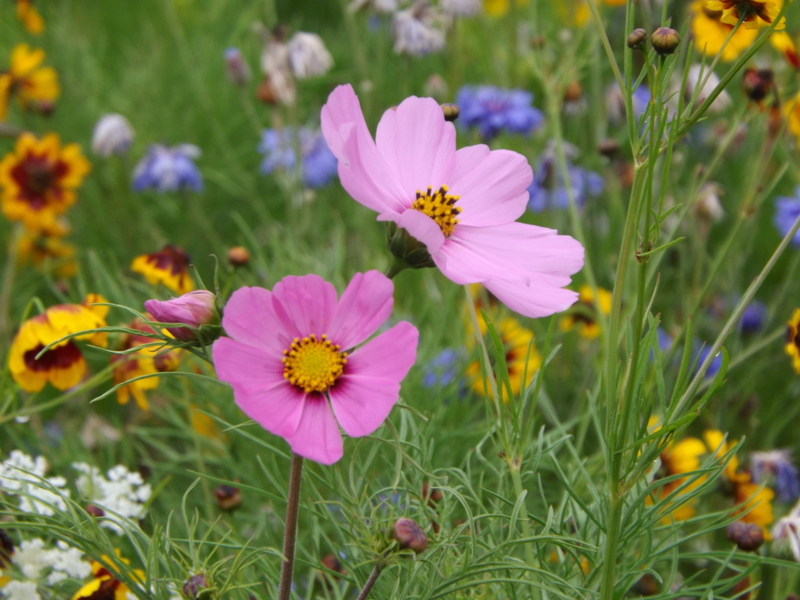 As I have been walking around the village I have been trying to take in every moment and every sight. It has been fantastic to see co-officials from the 2010 World Championships again. also meeting lots of new officials and athletes. There has been lots of hugs & shaking of hands. The first few days have been pretty surreal. We’ve been busy collecting our uniforms, going through dress rehearsals for what happens before, during and after games. We have also had official photos taken. There are six table officials NTO’s who have returned after officiating at the Olympics. They have been imparting their experiences and knowledge with us, this has been invaluable. The opening ceremony was a couple of days ago and it was pretty special. The whole evening just had moments and memories that will continue spark smiles & laughter for everybody there. 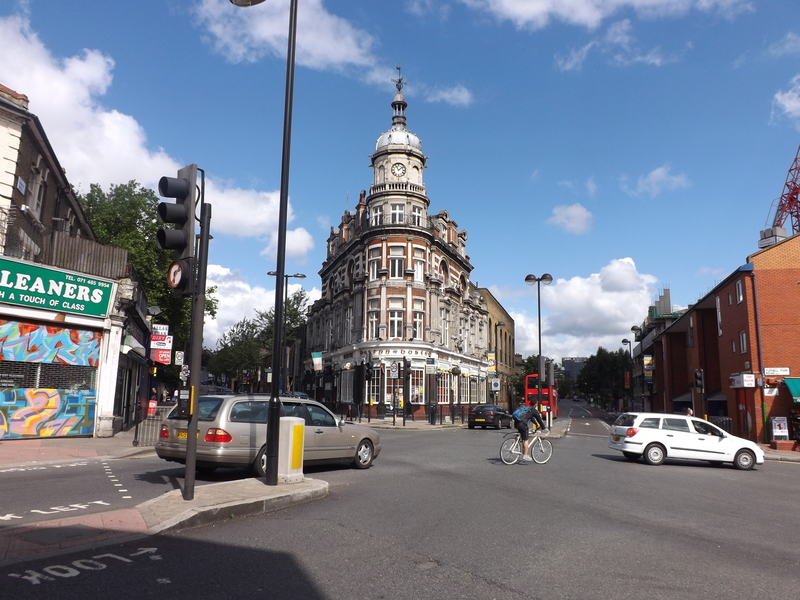 I will probably blog about this separately as I have loads of photos to share. Good luck to all officials, delegates & athletes, lets have good games with lots of fun. It’s only one day until I report for my table officiating duties. The sun is shining in London and I am still rather calm. 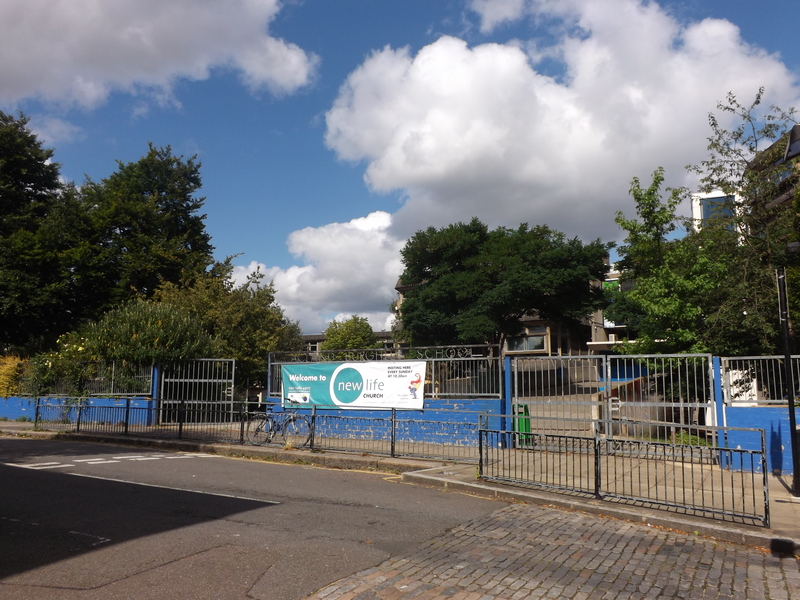 I thought I would take a trip down memory lane, these photos show the road I walked along to get to school. 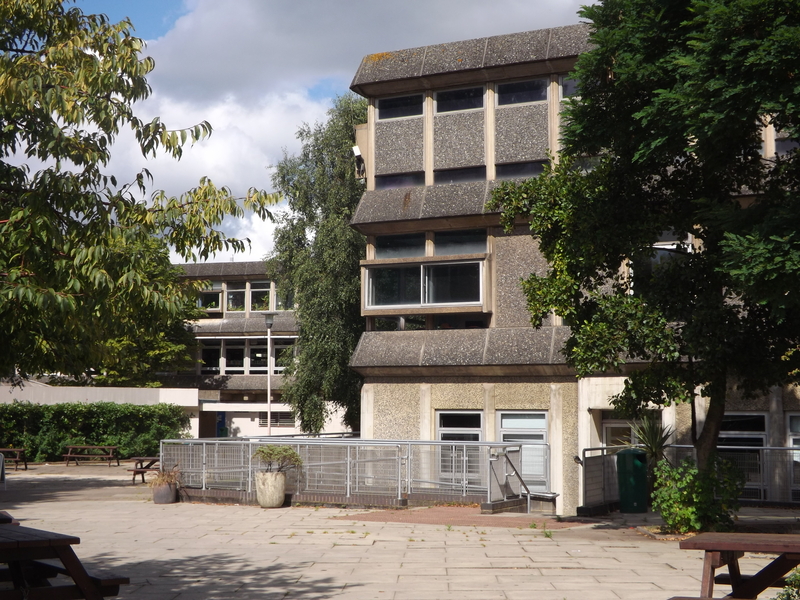 This building is my high school and where I was first introduced to Basketball in the late eighties. Two of my physical education teachers were Basketball players to a high international standard. Along with the school’s science technician they went out of their way to bring Basketball to the pupils. I honestly back in the days of being a teenager thought the boys on the Basketball team were better looking than the Soccer team. This is why I started getting involved with Basketball. Fast forward twenty years or so and Basketball has been a constant in my life. I think of the people I know through Basketball as family, they are there for you when need them. They can also tell you a few home truths. I am still in awe that in less than 24 hours I will be handing over my accreditation and entering the Paralympic village. I feel extremely blessed and proud to have this opportunity in the city back where it began. 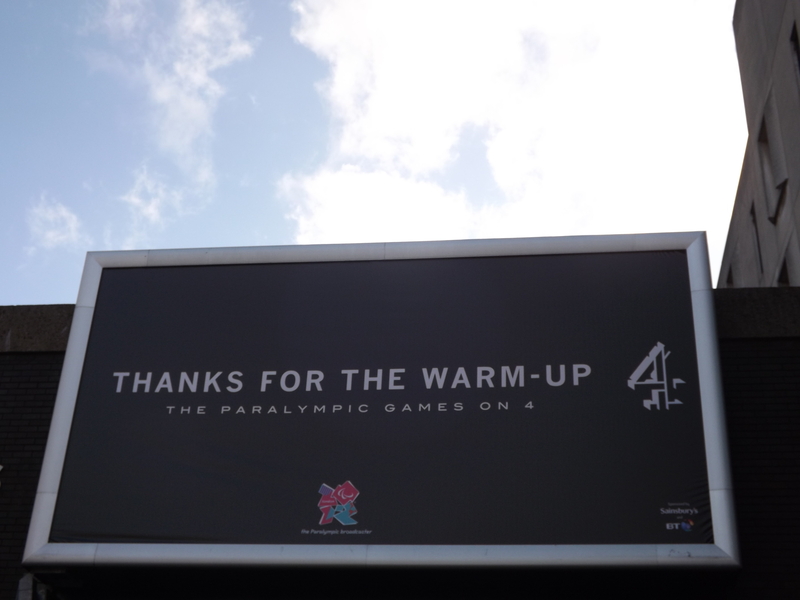 In Great Britain the broadcasters are doing lots to make people aware of the Paralympics. As I start to type this blog entry Channel 4 are showing a programme and the presenter opened by saying “Seven days and counting”. As I walk around my day job colleagues keep asking me if I am looking forward to the Paralympics and the beaming smile I have been wearing says it all. It has also been great sharing my facts of the day with colleagues and giving them something to go away and think about. This morning I walked past management accountants and I had to stop and listen to their conversation about athletes with Cerebral Palsy and I felt overwhelmed with the knowledge they were gaining. Also a friend and colleague said to me “my mum keeps asking about your facts of day.” I even got asked by my department director if I was looking forward to my time at Paralympics. He shared his experiences of the Olympics and that he was looking forward to the Paralympics. Before I forget here is a billboard that I keep passing on my way to work. Through social media there has been much discussion on the terms used to describe athletes who will compete at the Paralympics. Avoid the superhumans was an interesting article that I came across. For me as a table official I don’t see disability, I see two teams who want to play Basketball within the rules of the sport. My job is to help that happen with the knowledge I have of the game and the rules without favouring any person or team. 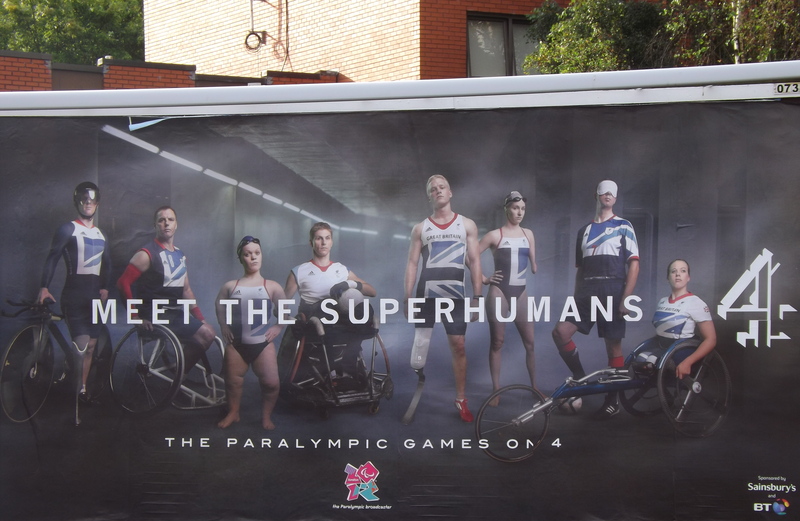 The title of this blog is the strap line from the Paralympic broadcasters in Great Britain. This billboard is near my home. They are all over the country. 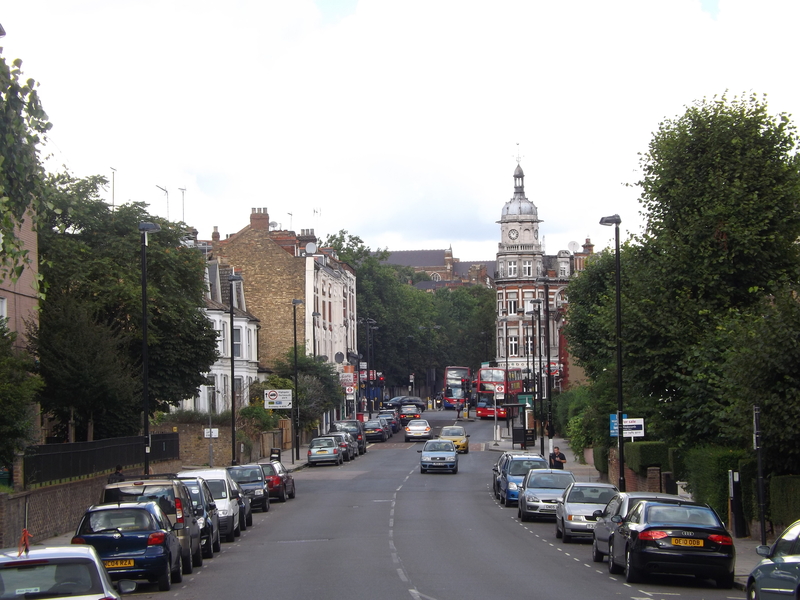 After the Olympics Great Britain has a great buzz and feel good factor. Also there has been record ticket sales for the Paralympics which is fantastic. Lots of people I work with and people I know who don’t follow sport have embraced it. They have been asking me about my involvement and whether I am excited about the Paralympics? My answer has been yes, big time! It has been nice as well as overwhelming that people are showing an interest in my officiating duties, I hope I can do a good job. 1988 in Seoul, South Korea was the first time the Paralympics used the same venues and facilities as the Olympics. Great Britain has never finished lower than 5th in the medal standings. Since 1960 they have won 528 golds, 502 silver and 492 bronze. The 3 spikes on the mascot Mandeville’s head relate to the 3 atigos (means “I move” in latin) in the Paralympic symbol. Plus the mascot has 1 eye because it’s actually a camera recording it’s journey. In 1952 the first international Stoke Mandeville Games were held. These games are thought to be the precursors to the Paralympic Games. I think the build up to the Paralympics has been positive and I hope I can share awareness with my daily facts. Today sees the end of the London 2012 Olympics and before settling down to watch the gold medal game I received a text message. It was from one of the officials due to table officiate the game, I hope she doesn’t mind me sharing this text. “I just wanted to say a huge thank you for all your help, advice & support you’ve given me over the years. Without your original enthusiasm to train me up in the first place, I wouldn’t be here now, about to officiate the mens Olympic gold medal basketball game.” Oh boy I did cry! This person came to the West Midlands to study and became part of the Basketball family and I was extremely proud to see her on the television, along with her colleagues. Whilst watching all the Basketball I kept noticing on the rim of the Baskets “inspire a generation”. These games have inspired so many people to volunteer, officiate and compete to the best of their ability. I have also been in touch with a few of the ITO’s (referees) and they are travelling from all corners of the world for the Paralympics and their nerves and excitement has been infectious. In Great Britain there has been an awesome vibe for the Paralympics today and as GB Wheelchair Basketball player Helen Freeman tweeted “Paralympics is trending!” It was also lovely to see the BBC showing the Channel 4 advert for the Paralympics . I hope everyone around the world can watch this You Tube video. If not I got a tweet from Channel 4 today that says “The IPC will have dedicated worldwide streams – see our friends at @Paralympic for more details. It also looks like the Paralympics will be best attended so far in it’s history. Talking of history the BBC will be showing a drama called “The best of men” which is about the birth of the Paralympics and Dr Ludwig Guttmann. 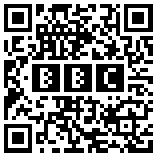 I have included this QR code (You will need a scanner application) which is another development in technology in order to give you information on the BBC drama. Technology has played a really important role in the Olympics and will do the same for the Paralympics keeping people up to date. As the medals were being given out for the mens competition I noticed amongst the committee of people was IPC President Sir Philip Craven. I didn’t notice because he was in a wheelchair, I noticed because his attendance shows a real integration between the Olympics and the Paralympics. 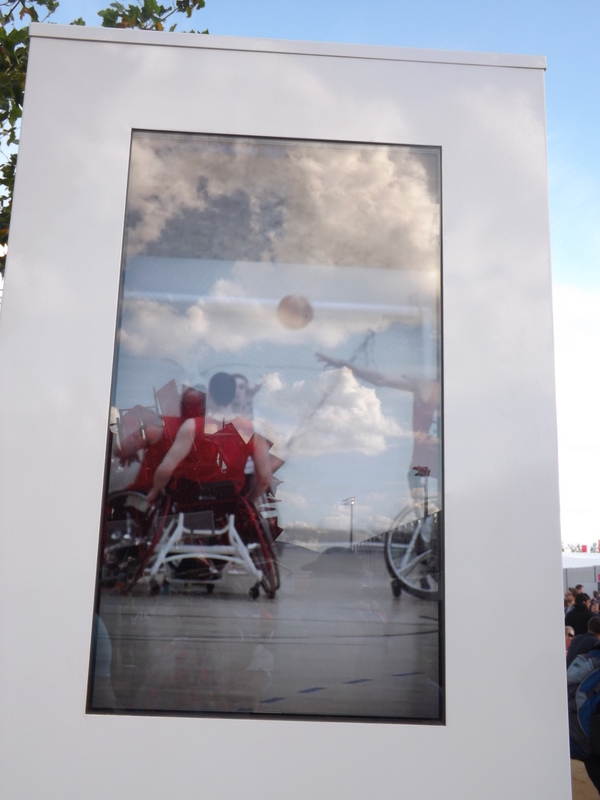 I hope people reading my blog will be inspired to watch Wheelchair Basketball or another sport at the Paralympics. It really isn’t a poor relative of the Olympics, it will be another amazing show put on in London town. Yesterday I got an email to say my Paralympic accreditation has been sent to me & this afternoon it was in my hands. I don’t think I can really put into words how excited I am and how real this now feels. I already started packing last week and after talking to some of my fellow officials I hopefully won’t overpack. I usually overpack when I go to tournaments but I can always leave some stuff at my mum’s house. 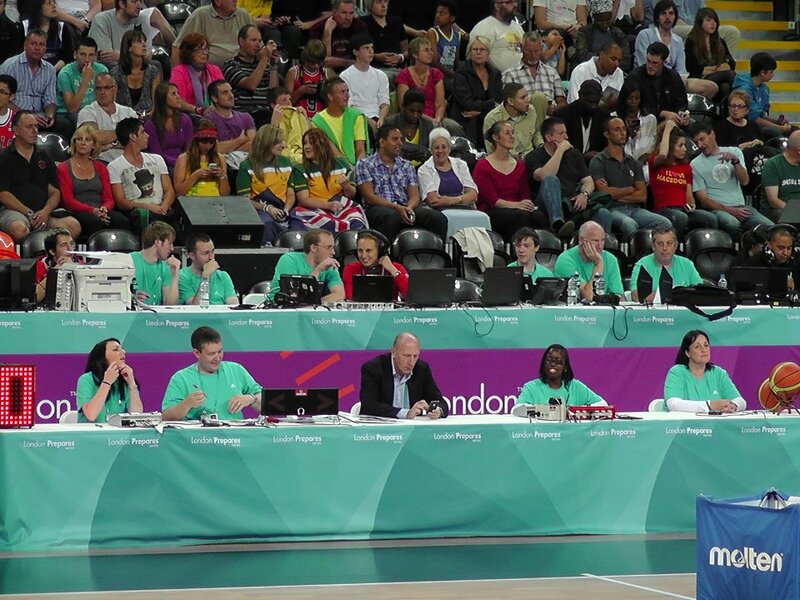 I am originally from London and so this opportunity to officiate at London 2012 is the stuff dreams are made of. 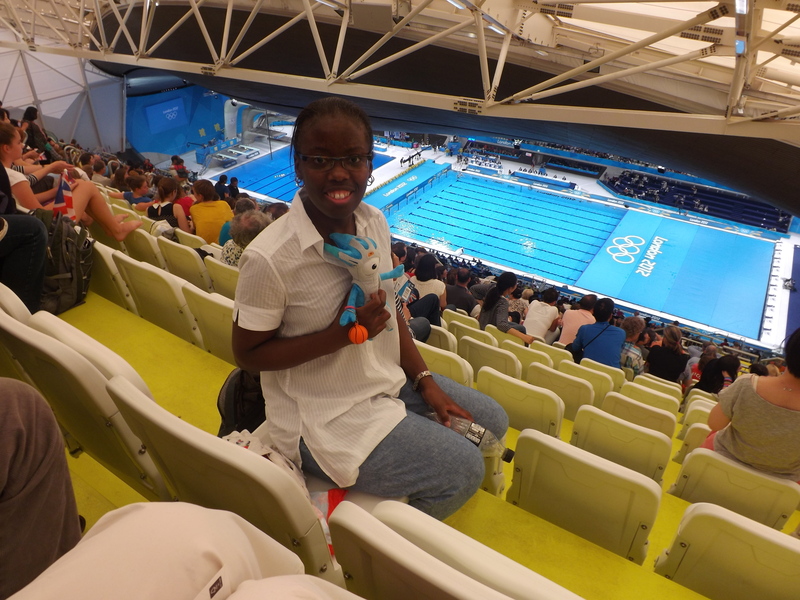 I have been to the Olympic Park to watch some Synchronised Swimming and I was really excited. I had no problems with public transport or security, even with my mascot who has been travelling around the country with me. 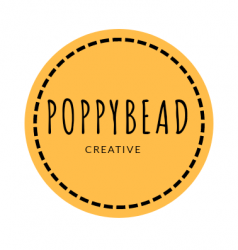 Some of my friends and colleagues know that when I am not involved with Basketball and Wheelchair Basketball I am crafting, whether it be knitting, sewing or making jewellery. When I have down time at tournaments I can be found in a corner knitting. This helps me with curbing my nerves and staying relaxed, so I think I could be knitting loads in the next 20 days and beyond. Along with my pencil case, knitting and clothes I have packed my kindle. I don’t know if I will find time to read. 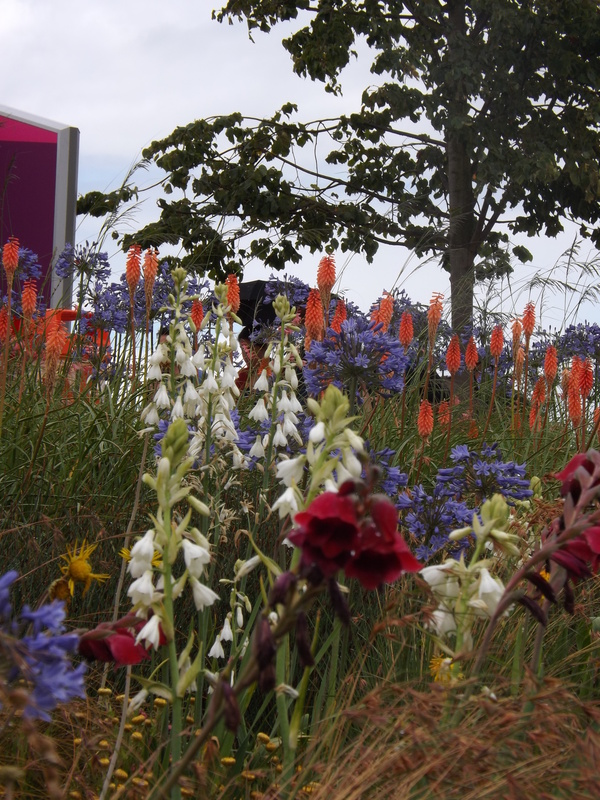 Whilst walking around the Olympic Park I was taken by the beautiful landscaping. 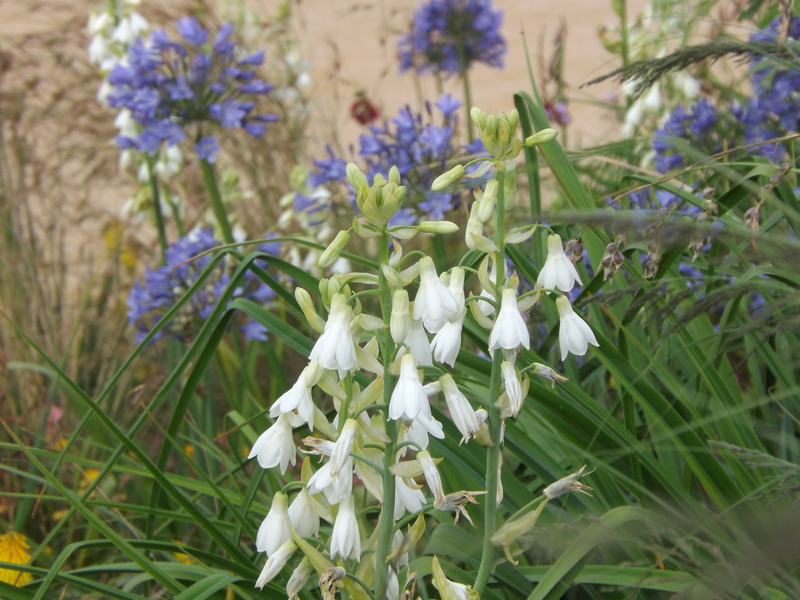 There are lots of places to sit and admire the beauty of an area that has been transformed. These areas will give me a chance to contemplate and give thanks to all the people who have helped me get to this point in my officiating career. Some of them will get to enjoy London 2012 and some will be watching from elsewhere. 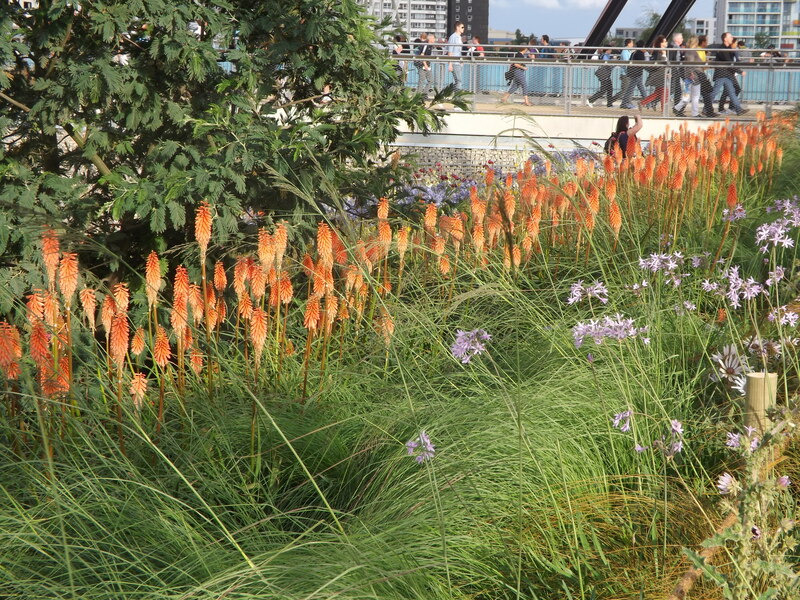 In my last blog I mentioned the landscaping at Olympic Park and apart from the venues there are a number of things to experience. 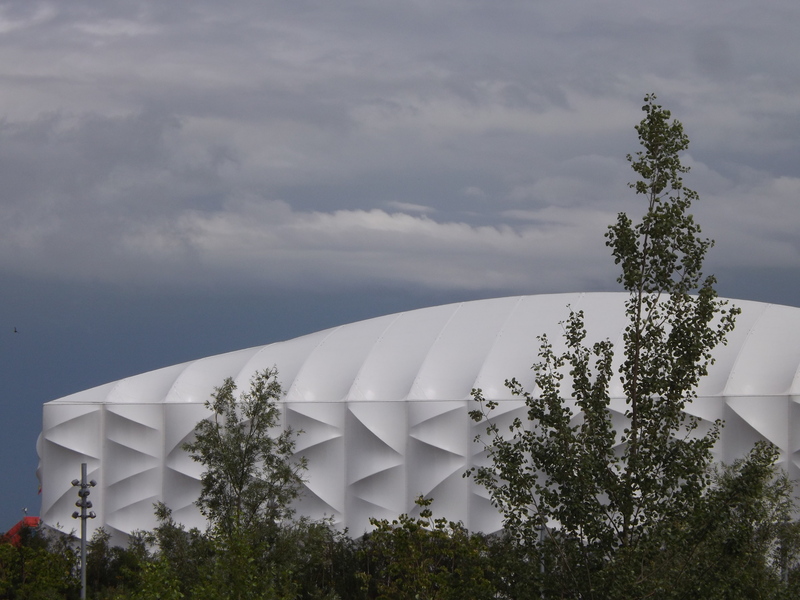 This picture shows the Basketball Arena which is a temporary venue and will be rebuilt elsewhere in the country. 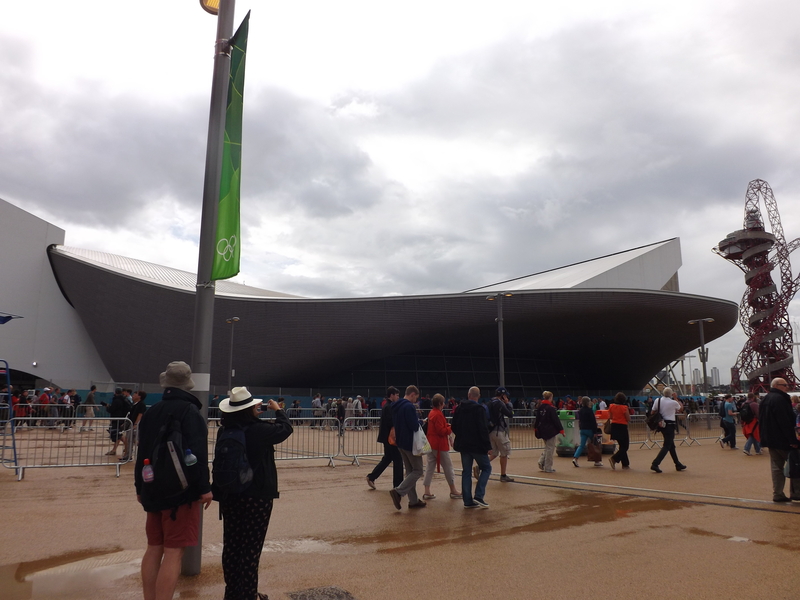 In this photo you can see the Aquatics Centre & the Orbit. I didn’t get a chance to go up to the viewing points in the Orbit but I will when I go to the Paralympics. Whilst watching the Olympics I have been overwhelmed by the amount of British athletes who have thanked the National Lottery for their Olympic opportunity. I actually work for one of the lottery distributors and when I heard about the amounts of money that have been diverted to the Olympics and Paralympics I had mixed feelings. When I got told by my Chief Executive that the lottery would have a presence at the park I was quite surprised. However I thought I would make the effort to check it out. This area is called “The National Lottery, it’s your space”. 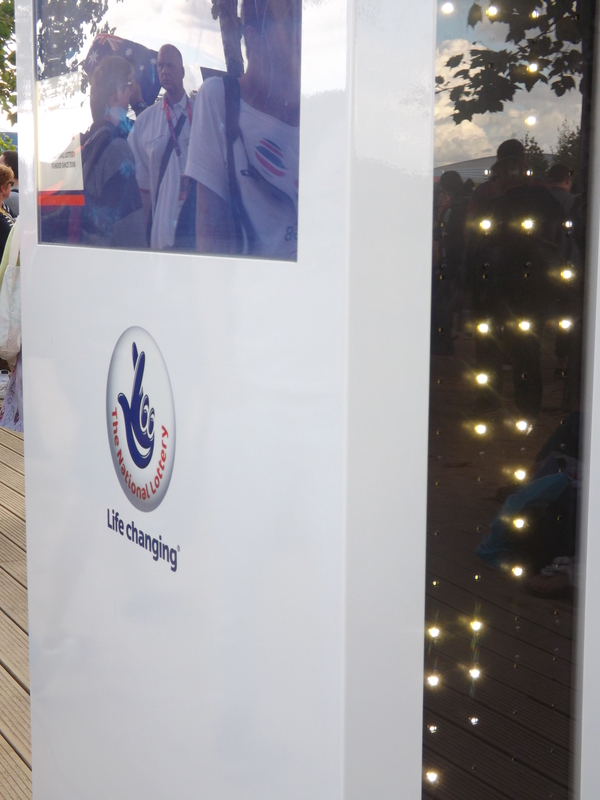 It has a number of volunteers who can tell people more about the work the lottery good causes do. They were all very friendly, even after getting drenched by the rain. I stood and watched the films that are on a loop showing the diversity of projects that are funded and even recognised some of the GB team. 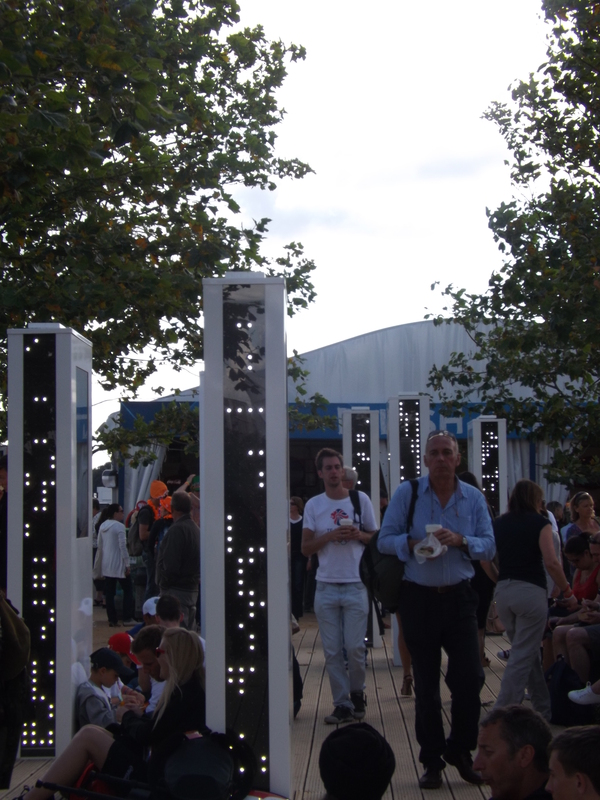 There was some quite thought provoking music playing on these films and the lights on the side change in line with the music. After I blogged for the IWBF for the first time last week. I was asked by a referee “why do you say you officiate and not table officiate?” I explained that regarding the Paralympics the table officials are refered to as National Technical Officials, I also said would be sharing the difference. 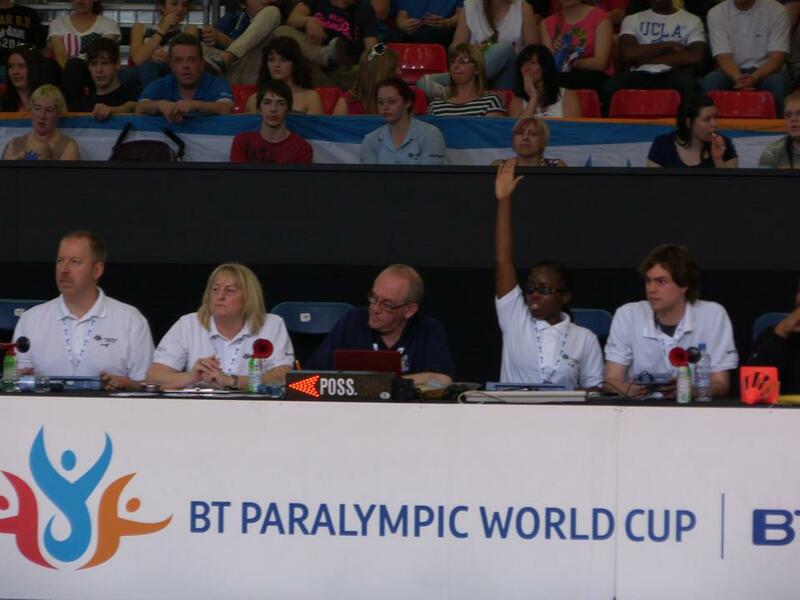 In order for a game of International Wheelchair Basketball to take place there are a number of officials that are needed. I have my hand in the air. There are three floor officials or a referee and two umpires. 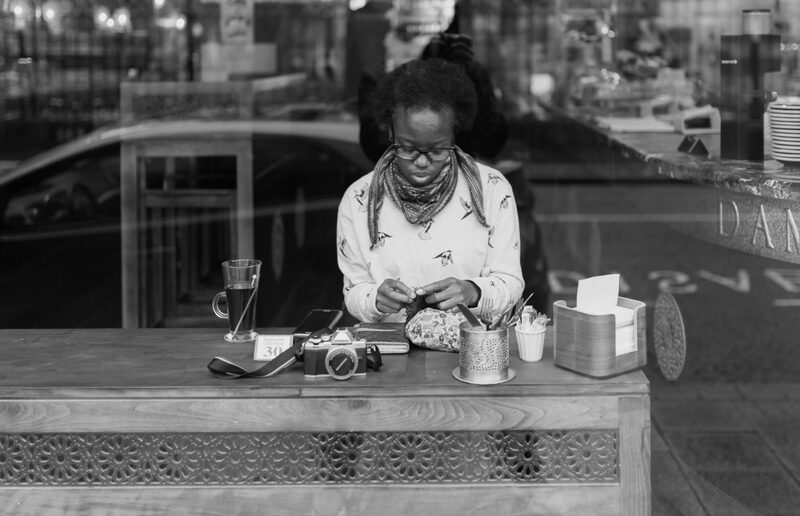 A scorekeeper who records the score, timeouts and fouls. An assistant scorekeeper who enters the score and fouls on the visual scoreboard. A shot clock operator, who times how long a team has to take a shot on the clocks which are usually mounted on the backboards. A timekeeper, game commissioner and a classifier. At international level the game clock and shot clock are stopped by technology in the refeeree’s whistle. If you watch the referees they will reach for a small button attached to their trousers, this button starts the game and shot clocks. When I went to the test event last August this was the first time I had ever come across this technology and it blew my mind. So as a timekeeper you will be backing up the whistle if the clock doesn’t start or stop. At a number of the wheelchair tournaments I have table officiated the game commissioner has undertaken the duties of the classifier as well as overseeing the game. I always think of the officials as being the legs of a swan, important to the game but shouldn’t be noticed in the gracefulness of Wheelchair Basketball.